Converting the gender of any parallel, serial, game/midi or video port. It can be used to splice together two existing cables. Easily converting the gender of any parallel, serial, game/midi or video port. They can be used to splice together two existing cables. Change your DB15 HD Monitor cable end from a female to a male with this full size gender changer. Change your DB15 HD Monitor cable end from a male to a female with this full size gender changer. This DB-9 Male/ Male gender changer converts a female cable or port into male. It allows two female cable to be connected. Protect your DB9 serial port with our port saver. This quality port saver will easily protect your port from damage caused by the connecting and disconnecting of peripheral cables. This DB-15 Male/ Male gender changer converts a female cable or port into male. It allows two female cable to be connected. Convert the gender of any parallel, serial, game/midi or video port. It allows two male cable to be connected. This HD15 Male/ Male gender changer converts a female cable or port into male. It allows two female cables to be connected. 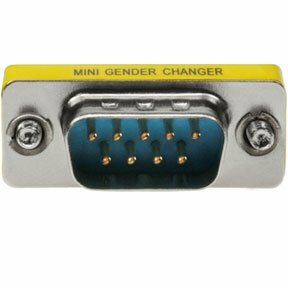 We have a collection of molded gender changers and mini gender changers which you can use to change and convert between various connector genders or extend your existing cables that has plugs on both ends. These can be Male to Male, Male to Female, and Female to Female. You can find all of them and more at SFCable. We offer the best products your money can buy. All the products are environment safe and are manufactured by ISO 9001 - 2000 registered manufacturers nullifying any doubts about the quality.